2 ft deep side walls. ​please email to be added to a waitlist. Artists collect and take home 100% of their sales! ​Buckman PTA will not by collecting a commission in 2019! 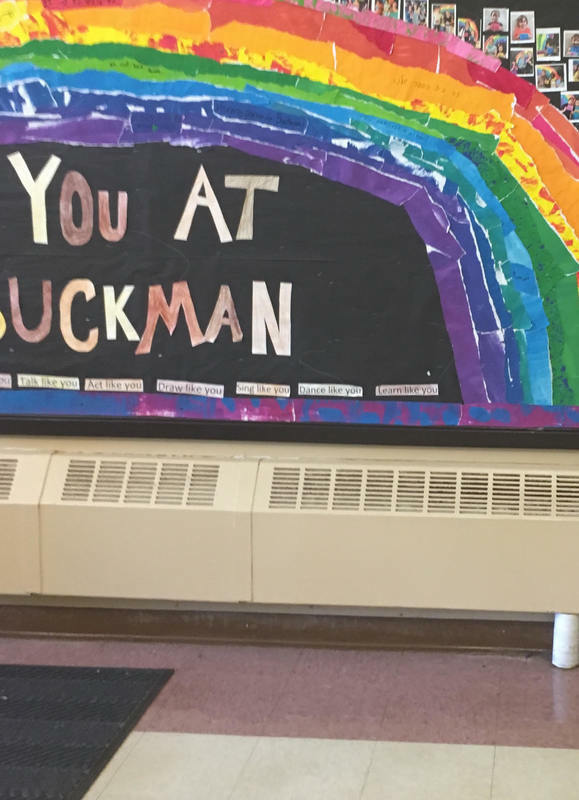 The Buckman PTA will be renting booth spaces for the March 9-10, 2019 show. The show is juried, if accepted the application fee is credited towards booth fees listed below. Artists are juried into the show, applications are open in mid October till mid November 20, 2018. There is a $25 non-refundable application fee. Artists are notified of acceptance status by Dec 10, 2018 and fees are due by December 20, 2018 to secure your spot at the show. The Art Show & Sell is committed to hosting a wide range of local art in 2-D, 3-D, textile and jewelry categories. The committee is looking for artists who bring original locally made art. We are not accepting lotions or potions vendors. Student/alumni sign up in February. Booth fees will range from $125-185 depending on the type of booth chosen. Please see the pictures for reference. If accepted your application fee is credited towards your booth fee. Table booths will have a space for artists to sit behind their work. (artists still need to bring their own chairs.) Panels artists can bring a stool or chair to sit near their work. Artists will be in charge of all of their sales. Square, Paypal and often your bank have easy apps to sell on site at a minimal processing fee. Each gallery will have a table with packaging supplies. Artists are welcome to bring their own if they wish. 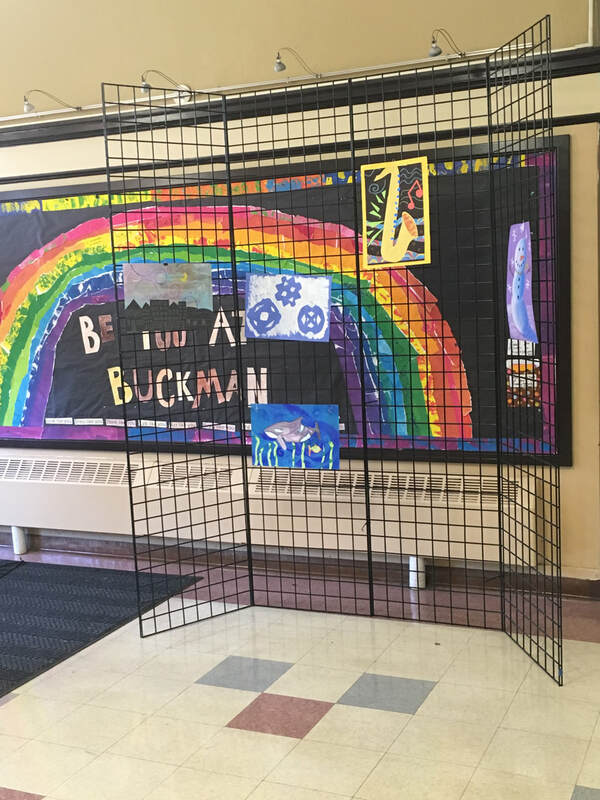 The Buckman Art Show and Sell committee has a wide range of marketing strategies. Social media campaigns, mailing lists, (email and snail-mail), press releases, posters/flyers around Portland. We are committed to marketing at the same scale as 2018, which was our highest attendance rates in recent years. *why did we decide on the booth fee instead of a commission rate for 2019? Many of our fees for the cashier room went up slightly in 2018. It was enough to have us sit down and take a close look at the math. We thought "How much art are we selling to pay for the computers, software and credit card fees." and "Can we capture more of this money to stay with local artist and the school for arts programming" With the new approach of booth rates the PTA is expecting to net similar amounts, but with less overhead, which means more money in artists' pockets.